This table has two layers, mostly used in deboning and cutting room. Meat boxes can be put in bottom layer, and you can operate deboning and cutting on the top layer. 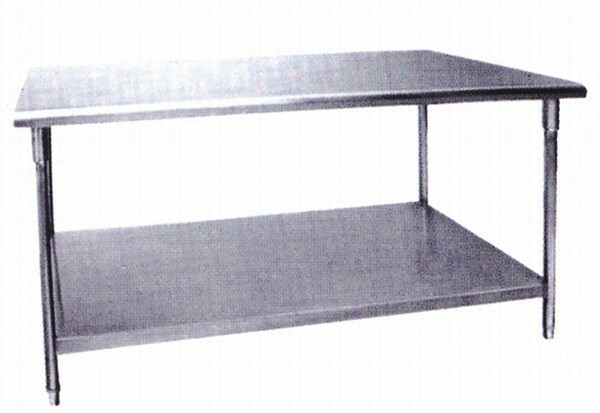 Whole table body is made by stainless steel 304# to make sure long service time and hygiene requirment. Standard dimension is 1800x800x800mm, and can be customized with customer's requirement. We also have single layer cutting tables available. ZBHT Slaughtering Machinery Co.,Ltd. manufacturing high-quality double-layer deboning and cutting table and supply OEM, ODM service according to your personal requirement. Our double-layer deboning and cutting table and other Auxiliary Equipment And Tools is not only good in quality but also competitive in price, welcome to inquiry us about the details of double-layer deboning and cutting table or other slaughtering machine products and accessory equipment.